Do you have a recent Halfords receipt? If yes, now go to the website www.Giveusasteer.com or www.TellHalfords.com and leave your comments about your Halfords visit, then you’ll have a chance to win a £100 gift card to spend on your future purchase. 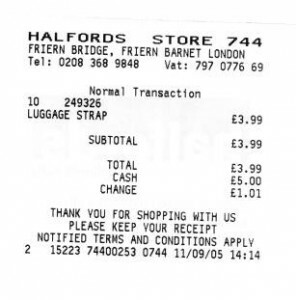 How to enter the Halfords Receipt Survey? 1. Visit the website www.Giveusasteer.com or www.TellHalfords.com in your web browser. 2. On the website, you’ll be asked to choose which type of purchase you’ve made. Select the “Bought in store” option to continue. 3. On the next page, enter the required information from your receipt, including Store Number, Till Number, Transaction Number and Spend Value. Click the “Start” button to start the survey. 4 Then you need to answer the survey questions they provide to you one by one. At the end, you’ll be entered into the prize draw. There will be 1 prize winner each month and each winner win a Halfords gift card worth £100. See more terms and conditions at www.Giveusasteer.com! What are the most popular sports now? The answer is biking. If you are a fan or you are prepared to be a fan, then you must come to Halfords. Halfords is a retailer of bikes, bike accessories and car accessories. Halfords has almost everything about bikes, such as bikes, accessories, cycling parts, clothing and even tools. 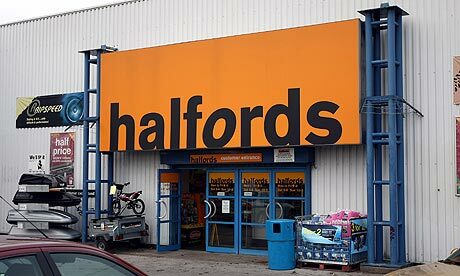 Halfords also sells car parts and other accessories and car seats. All the products are categorized very well, so it is easy for people to find what they want. The Wefit service is very useful for customers who are not that familiar with their own cars. After you enter your car registration, the Wefit service will come out with the correct one for your car. The delivery is fast and the price is low. Another great service by the Halfords staff.